Twellman's cracker of a goal. Taylor Twellman's 38th minute "goal of the year" overhead volley put the Revolution in the finals for the third consecutive year. This midnight rider will be making the trip to DC for the MLS Cup next weekend. No doubt about it. Another month, another championship in New England. 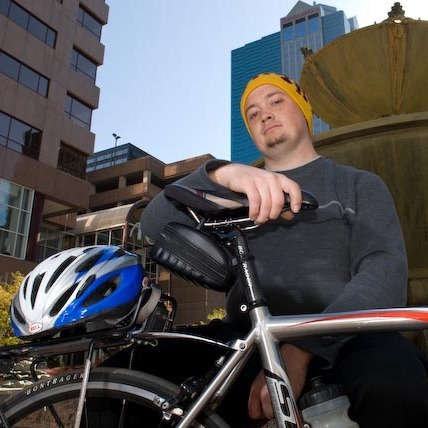 There was also the chance to get in a bike ride along the waterfront. 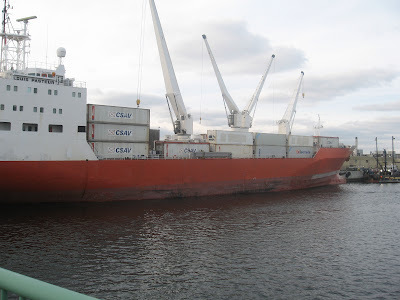 A freighter was in port unloading hundreds of truck trailors. Years ago these would have been loaded onto trains to make their way across the country. Trains could solve a lot of our transportation, safety and ecological problems. But they don't have a very good lobby. The thirty mile ride really felt good. It had been a few weeks of short market runs and was past the time to do a longer ride. 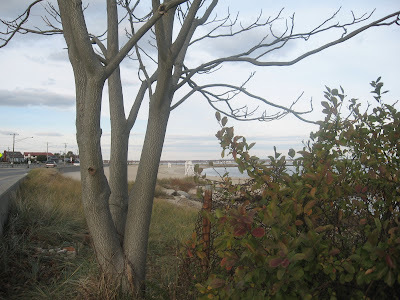 The beaches are all deserted for the winter. After the ride it was off to the Y. There was enough time to get in a really hard racquetball game before kickboxing class. It was very tempting to not complete the boxing session because of fatigue, but a few well timed rest breaks got me through the class. There should have been a feeling of accomplishment but the excitement and anticipation of the Revs game made all that and the rest of the world kind of irrelevant. This and all the other Midnight Riders will be in DC for the culmination of this great sports run. "Go You Revs"
Congrats and good luck to your Revs! 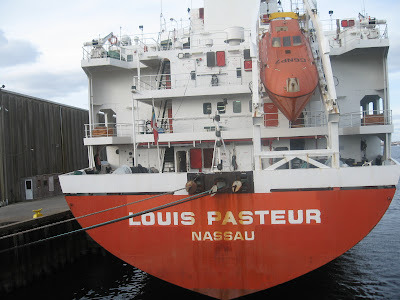 Interesting name for a freighter – Louis Pasteur. That was a ridiculous goal. Gotta love Twellman, even though I'm a supporter of the MetroBulls. Who, of course, are crap. They also represent the only instance of this Massachusetts boy supporting a NY team. And holy crap, is that an escape pod on the back of that ship? !